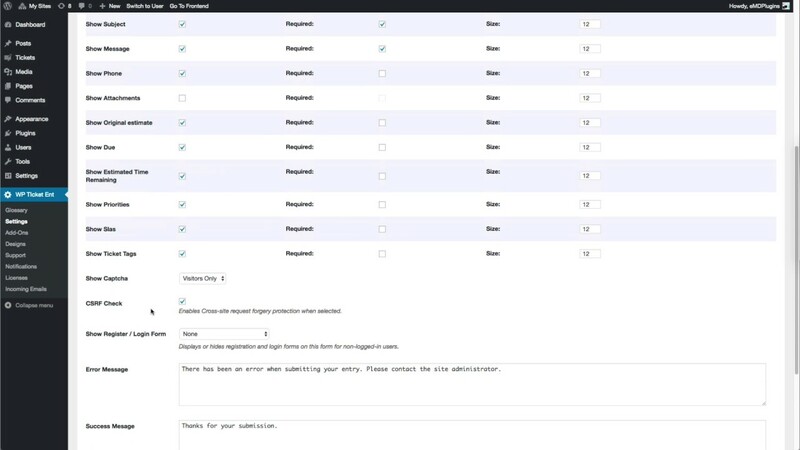 WP Ticket lets you create your own custom support ticket form by allowing you to pick the form fields you need. Make ticket form fields required or optional. Change ticket form field column sizes. Display custom “thank you”, no access and error messages when ticket forms are submitted. Add custom CSS to add your own styles to your ticket form.